The island of Providenciales supports a wide range of salons, spas, and boutique wellness studios. Most of the larger luxury resorts also feature onsite beauty services. There’s a complete range of amenities to choose from at salons on Providenciales, including cleansing facials, massages, manicures and pedicures, hot stone massages, wax treatments, salt scrubs, and romantic couples massages. Organic products are the typical choice at many of our spas and salons. The Turks and Caicos also offers a few unique locally-derived skincare products. Several local boutique companies produce a range of organic soap products, which can be found in shops and galleries in the plazas in the Grace Bay area. In previous centuries, the Turks and Caicos was a major sea salt producer and exporter, and at the peak of the industry collectively shipped more than 2 million bushels high grade sea salt per year. Salt production unfortunately largely ceased in the mid-1950s due to the inefficiencies of the small scale of production. In recent years, local companies have begun revisiting Turks and Caicos sea salt, and there’s now several exfoliating products offered for sale. Salt Cay Salt Works and Lucayan Skincare are two well-known local manufactures, and their products can be found in shops across the islands. 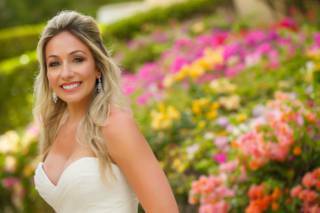 Many of the salons on Providenciales cater to special events such as weddings and anniversaries. It’s a significant undertaking to get married in the Turks and Caicos, as destination weddings take extra care and attention to plan. 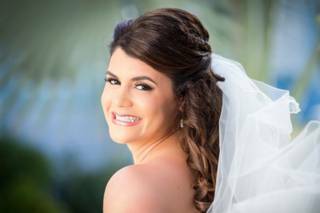 Local wedding beauty packages may include just the bride, or the whole party. It makes sense to begin working with your chosen wedding planners and salon early, as availability can be limited during the busy ‘ high season’ months. The Turks and Caicos is an incredible destination photography choice, and has been photo shoot locations for a countless array of magazines and fashion houses, including Sports Illustrated and DKNY. The Turks and Caicos offers a wealth of incredible coastal and beach locations. Some of the favourite coasts on Providenciales include Grace Bay Beach, Leeward Beach, Malcolm's Road Beach, and of course the exquisite Chalk Sound lagoon. The exclusive and private islands of Parrot Cay, Pine Cay, and Ambergris Cay are also amazing backdrops. There are several location and makeup companies that cater to professional photos shoots, and are able to schedule everything from transport and catering, to assisting in makeup and hair styling. Thea Gangasingh is a makeup artist with a knack for realising a bride’s vision or working with her to devise and customise the perfect look for that special day. She specialises in traditional and airbrushed looks for clients of various ages and ethnicities.